On a cool autumn day in 2009, I picked up a 4.9% fixed-rate on a 30 year mortgage and up to 2 weeks ago, I was content. Recently, I was talking to a client of mine about US housing and he reminded me how you can renegotiate his rate every year. Most Americans like me have a fixed rate mortgage and don’t often consider negotiating for a better interest rate. It is astonishing how much information is out there so I wanted to put it all together in a neat little article. When you are working overseas, it’s usually a hectic schedule with plenty of travel so thinking about your mortgage is not the top priority. I will breakdown for you what the options are and what you should do. Shop around: Assuming you have good credit, you should obtain multiple quotes from local banks, credit unions and a mortgage broker. The more you have the better leverage you have in the negotiation. Be tough: If talking to your bank or a new bank, remember that you have the upper hand and the right to choose where you do business. Stay courteous and polite but defend your stance. Future Business and deposits: Remember, your money is what they want. If you have a history of good business and a possibility for more, then that will give you extra leverage. While hunting for the best rate, it is wise to ask about various fees that they will try to tack on. If you worked so hard on comparing rates, you better not throw away all that just to get killed on fees. Here are some common fees and recommendations on how to handle them. Appraisal fee: This fee is usually necessary but you need to make sure it isn’t an excessive amount. It should range between $200 and $400 and make sure you receive a copy of the appraisal. Application Fee: If the bank knows that it is in heavy competition with other lenders, they will drop this charge. Closing Cost: Often, this cannot be waived but know the market price for this and do not get ripped off. 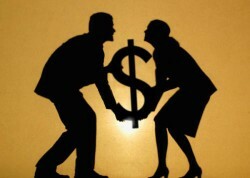 Lenders attorney fee: I believe it’s a conflict of interest to pay for a lenders lawyer. Ask not to pay for this and if they are stubborn then mention another lender that does not charge. Credit check fees: This costs the bank virtually nothing to perform and is used just to milk you for profit. Do not pay this. A common method in Australia to cut down on interest costs and years on the mortgage is to make biweekly payments (Ed Note – they call it fortnightly in Australia). Often it is less stressful to pay a little at a time versus a chunky amount at the end of the month. By paying every 2 weeks, you will make an extra payment that year which goes directly to paying off the principal. Consider a $100,000 30 year mortgage at 6.5%, you will pay $127,000 in interest plus principal, costing you a total of $227,000. If you pay every second week half of your regular monthly payment, you would can save $30,000. Not bad. Give your lender a call to confirm they will accept bi-weekly payments. Also, make sure each payment is credited on receipt otherwise it’s all for nothing. Lastly, you will want to cancel or alter any automatic payment plan as you could end up paying more. Whether your American, Australian, German or from Timbuktu there are always ways to pay banks less and save more. This involves not just mortgage rates but all kinds of bank fees. I could make a huge list of unnecessary fees that banks come up with. One worth mentioning is that being an expat, you will more often move money across currencies than other people which of course the bank wants a taste. This is negotiable and the more regular of customer you are, the lower the fee should be. Also, it’s worth asking about every single fee that the bank charges as you can often get them waived. Remember they are desperate for your business, so make them earn it. Considering that buying a house is the single greatest cost for a person in their life it pays to stay on top of your situation. After taking my own advice, I have shaved 1% off my mortgage rate and started to make bi-weekly payments on my loan. I will save over $50,000 over the life of the loan as it stands now. Imagine if I made even more payments or saved up enough money to take a big bite out of the principal. Being the full owner of a house is a big part of being financially stable and will carry you to greater successes. So disregard your busy schedule for a little while and set some time away where you can do the necessary research. One hour spent today could save you years, grey hair and thousands of dollars.